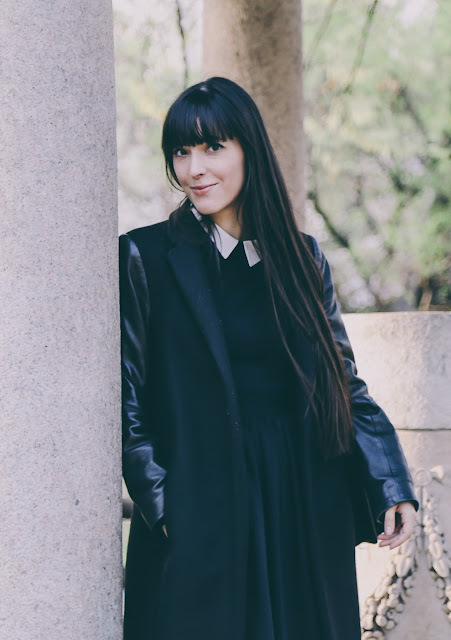 Pat McGrath (again!) 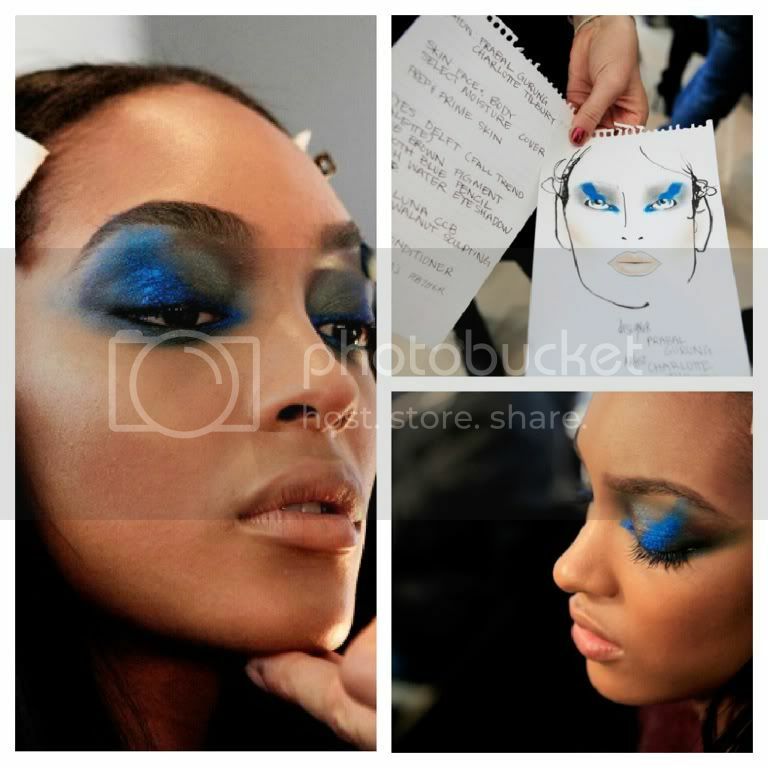 at Roberto Cavalli's show used a particular tecnique (pops of shimmering blue, green, and gold pigment that she blended into a series of black smoky eyes rooted into a smudged application of CoverGirl’s LiquiLine Blast Eyeliner) and said:"You need to tailor the look to each girl” (Naomi Campbell, present on the catwalk, included). Roberto cavalli: I love this make up artist with tattooed arms! 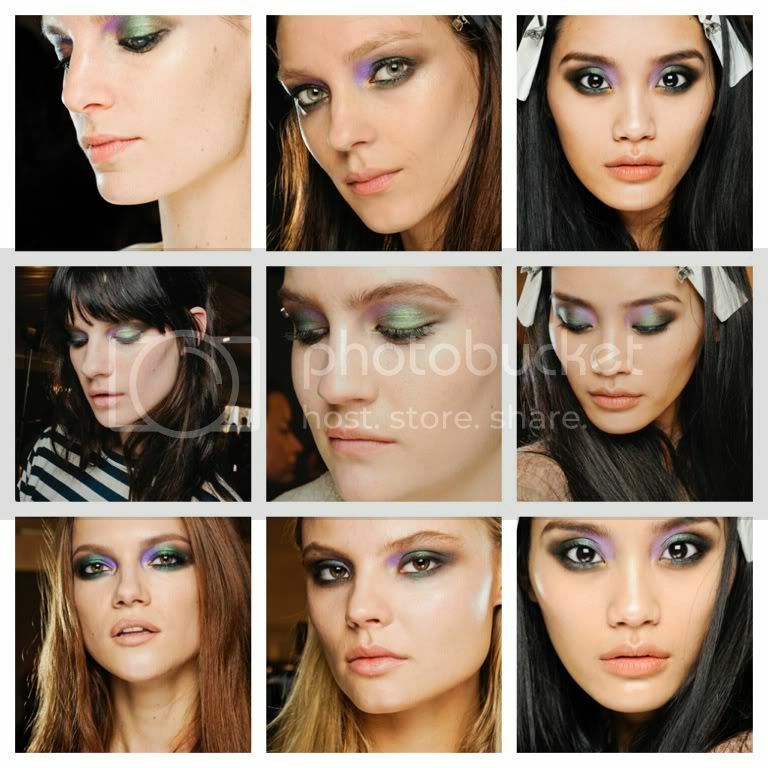 At Prabal Gurung, make up artist Charlotte Tilbury used blue and green shades, inspired by the film Avatar. 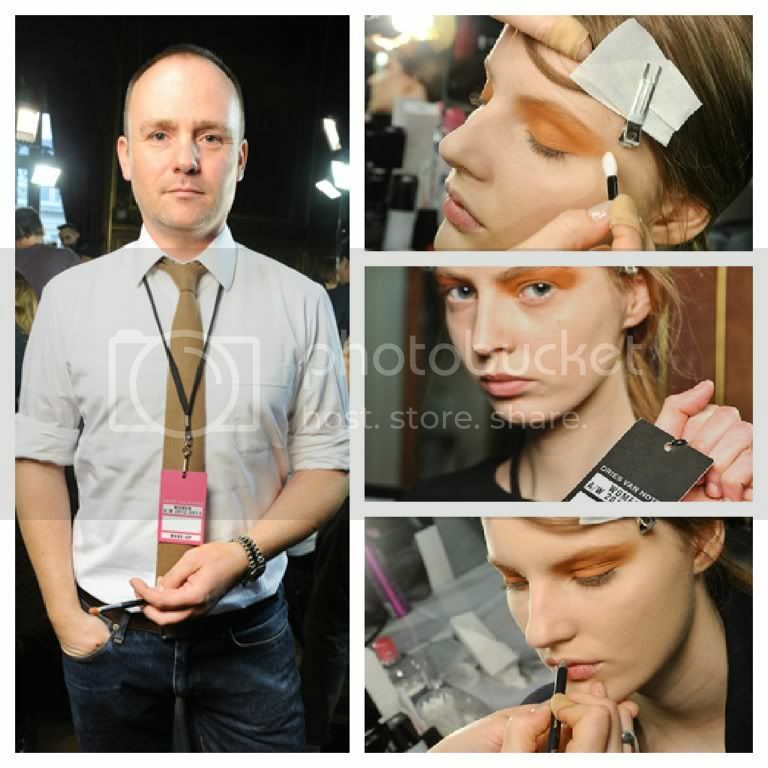 Peter Philips (Chanel beauty's creative director) at Dries Van Noten has done color-blocked eyes in what he called a "sunburnt orange". Is this season's rainbow bigger than our first impression? What to buy? Well.... 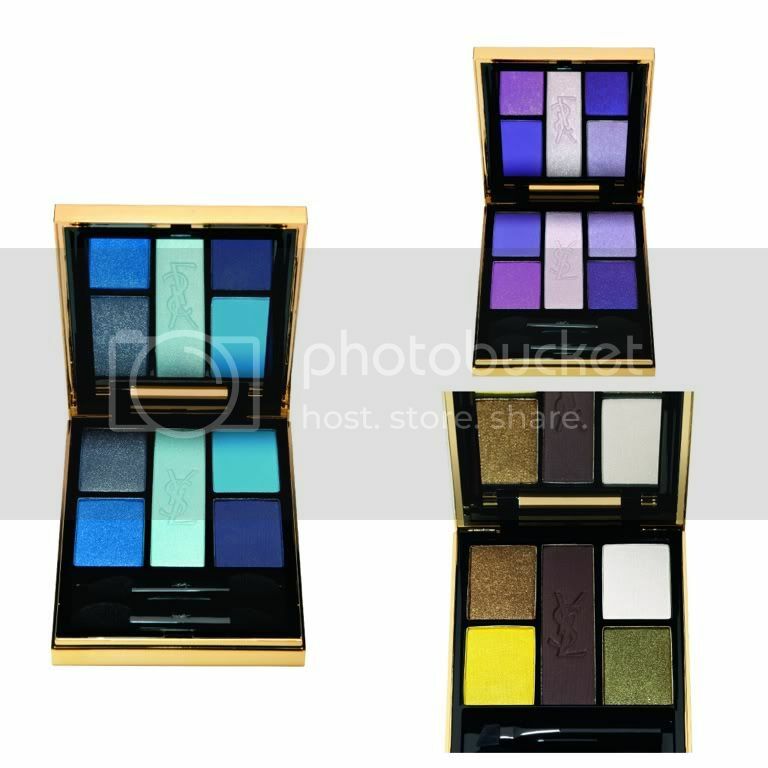 If you can still find it or if you already have it, I think YSL Ombres 5 Lumières in n.11 Midnight Garden (from AW 2011-2012 look) is still perfect for this season, maybe blended with strong pigments. Otherwise you could try to mix n. 5 Riviera, n.4 Lilac Sky and n. 7 Bronze Gold. Do you have a smaller budget? 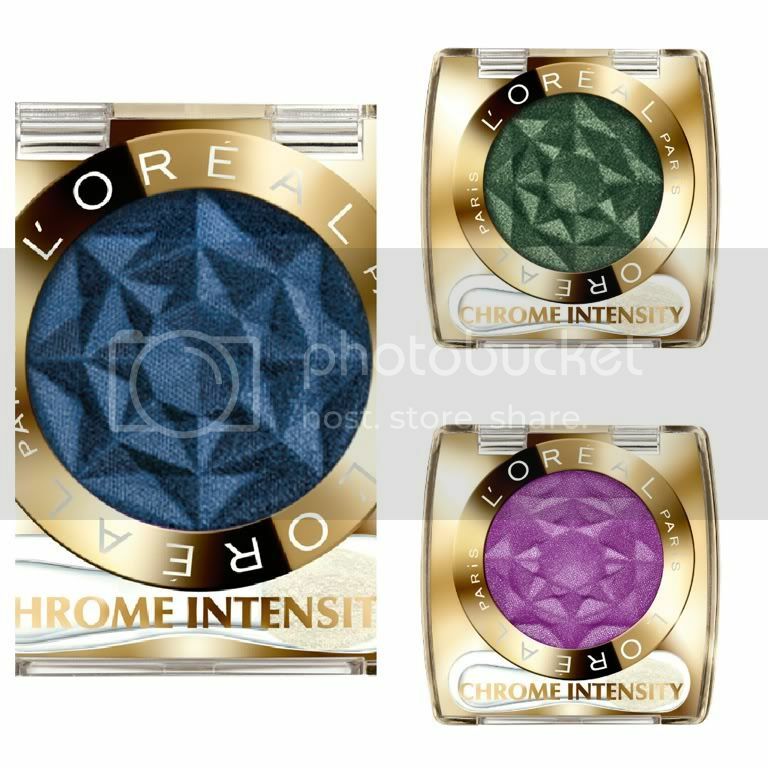 No problem, try L'Oréal paris Chrome Intensity in 186 Timeless Green, 182 Blue Jean and 180 Purple Obsession!